Residential & Commercial storage space in Southern Maine. Perfect if you're moving or just need more space. Month-to-month leasing allows for short or long-term storage. Access your storage unit 24 hours a day. 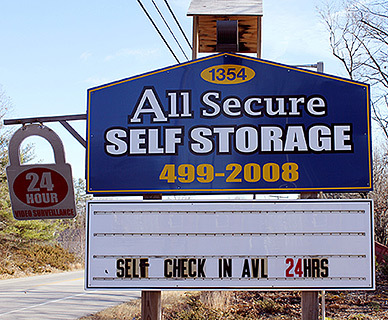 Why All Secure Self Storage? One time administration fee of $10. If storage unit lock is not returned upon termination of lease, there will be a charge of $15.